I don’t know if it’s our sense of Maritime History – those great timber sailing ships from the age of exploration – but whenever we climb on board a yacht the first thing we look out for is the quality of the woodwork …then run our hands along wood which look as though it’s coated in glass. Shore based explorers climbing on board a Camper Van haven’t been able to experience the same pleasure …until now. 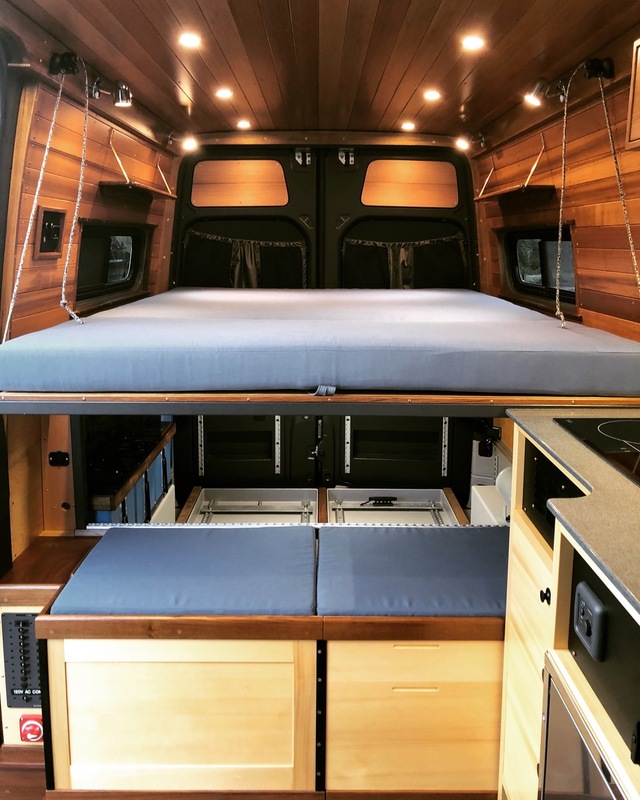 Eli Ellis and Tyler Vroman bring a lot of experience to the luxurious van-conversions they create at AWOL Adventure Rigs for discerning clients. Not surprisingly they count boat-building, and cabinet-making among their skills. Working in those disciplines you get pretty familiar with curved surfaces …that’s where construction meets art. 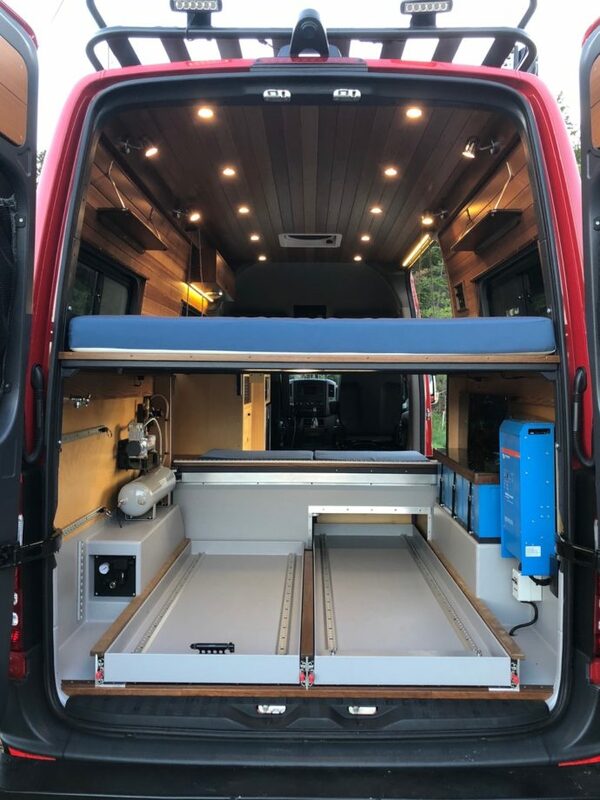 In fact, they like to think of their build-projects as the Art of the Possible: A client buys him/herself the van they’ve been dreaming about and then wishes to have it fitted with the comforts of home; the convenience of electronics; and perhaps the provision of some ‘workshop’ equipment so they can recharge dive bottles; or repair a bike. The challenge is to sit down and design an arrangement which includes everything on the wish-list; within the space allowed …without excessive weight; and which is also a pleasure to ‘live’ in – hot or cold. There’s quality behind the scenes, too. The provision of remote electrical power – for induction hobs, refrigeration, lighting, laptop recharge, diving bottle refill, and entertainment systems – relies on Victron equipment. Robust, energy-intense Lithium batteries store power provided by up to 600W of solar PV, efficiently harvested by an MPPT solar charger. 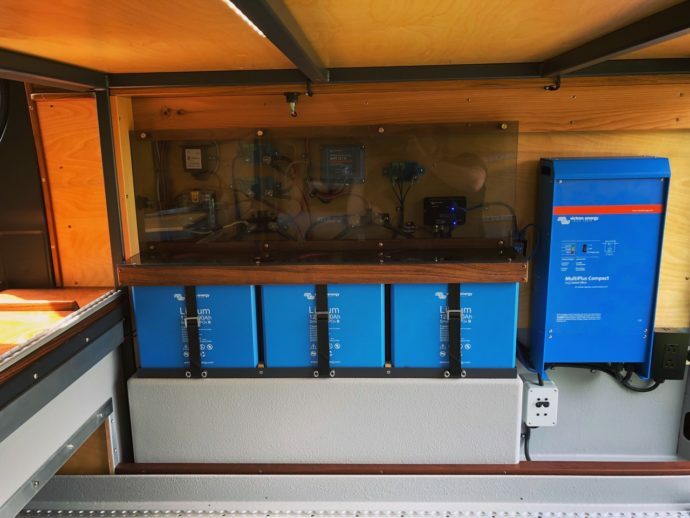 That power is converted to domestic voltage (of either 110VAC/230VAC) by inverter/chargers capable of meeting high peak power demands and handling the formidable 230 amps which a Dual Alternator might be providing. 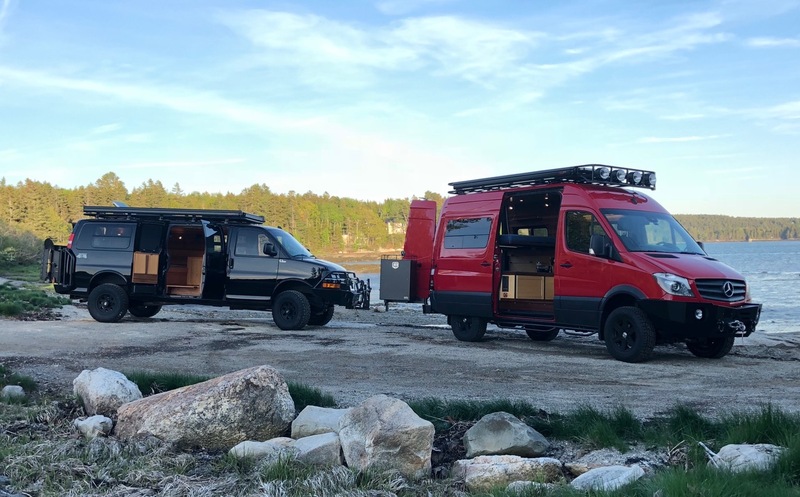 AWOL Adventure Rigs is situated on the East Coast of America – but if you’re reading this in Europe, or elsewhere, and would like Eli and Tyler to create the Mobile Home of your dreams …good news: Eli says they’re able to container-transport your van to anywhere in the world!